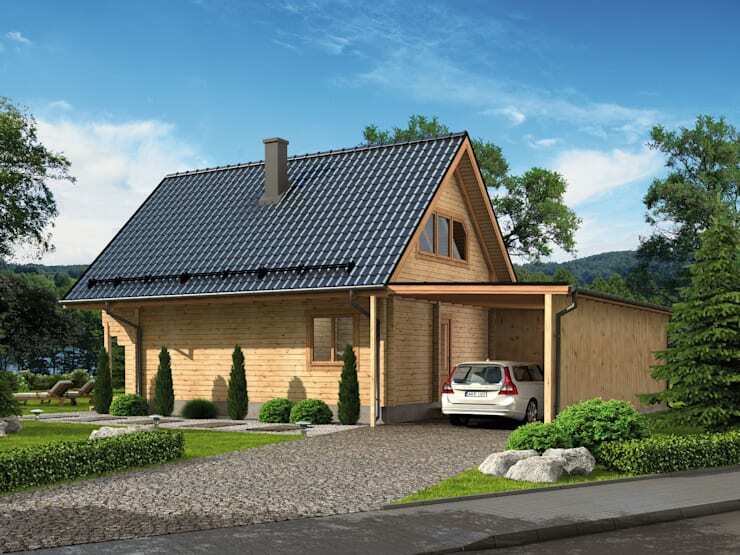 Today we are going to explore a gorgeous rustic little wooden home, created by home builders THULE BLOCKHAUS GMBH. 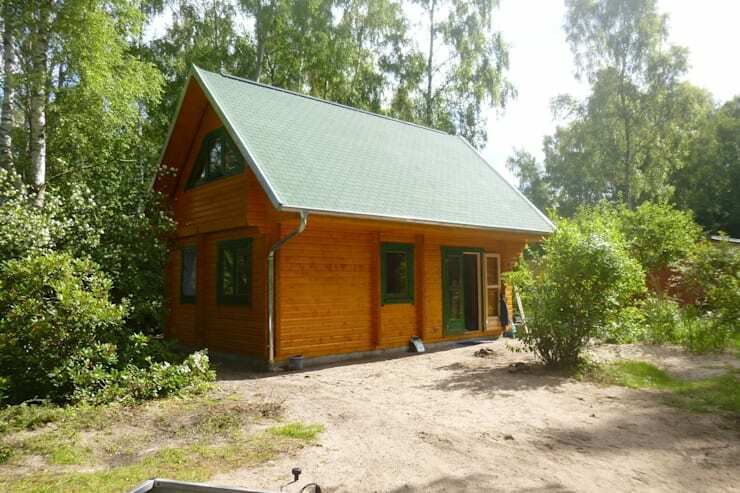 Not only will we get a chance to see this charming little home, we will also get the opportunity to analyze the building plans as well as the renderings of the architecture. We can compare what the drawings look like compared to the final product! 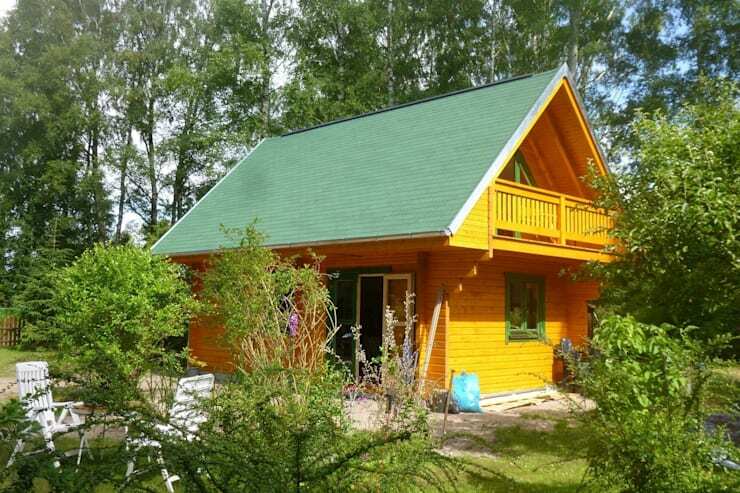 Are you ready to see just how stunning a small and simple home can be? 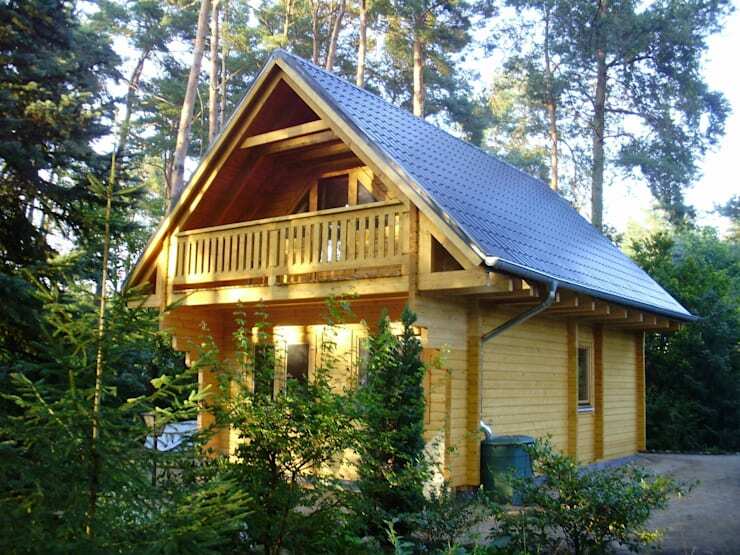 Nestled in the woods, surrounded by beauty, this little wooden home packs a punch despite its small size. 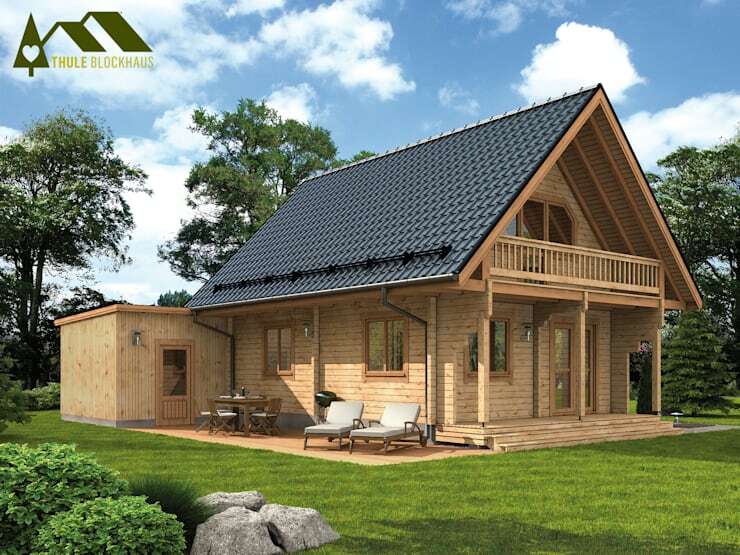 With its light wooden facade, traditional gable roof and beautiful surrounds, this is the ideal haven for escaping the hustle and bustle of city life. The upper level of the home features a beautiful little balcony, where fresh air and sunshine can be enjoyed from the bedroom. Here we can see how the home spills out onto a beautiful little terrace area with simple furniture, plants and flowers. This extends the living area outdoors and allows for afternoon barbeques or evenings reading a book as the sun sets. The umbrella provides this area with shade without overwhelming the space. If we look at the home in the bright sunlight, we can see how the green roof and light wood make for a beautiful combination! These colours work in harmony with one another, making for a stunning visual look and feel. Couldn't you imagine escaping to the woods and spending some time holed up in this beautiful and natural spot? Here we can see what the home builders were working with! This drawing ensures that the space is being utilized and that every room, every ceiling beam and every window has been carefully planned for. Drawings like these ensure that the builders, architects and designers – and the home owners of course – are all on the same page when it comes to what the final product will look like. 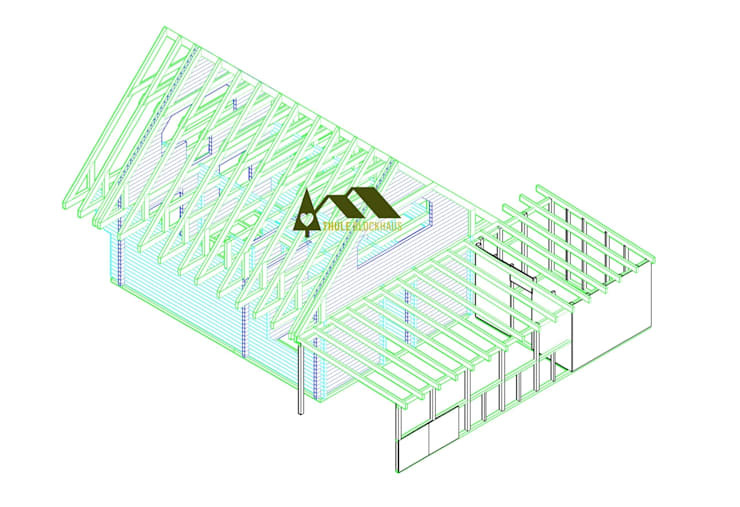 These drawings show us some more detail in terms of what was expected from the final design of the home. Every little element has been thought out! The home has been designed to include an undercover parking spot as well as a functional driveway. 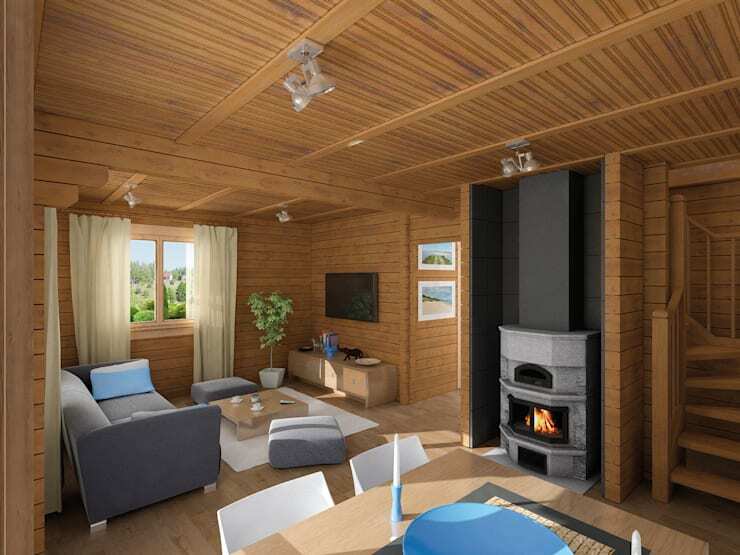 Here we get a little glimpse into what the interior of the wooden home is meant to look like, with it's cozy fireplace and open plan design. This is a piece of architecture that has been flawlessly designed and executed! Also have a look at this project for inspiration: Woodworking: 10 projects that will make you yell wow! 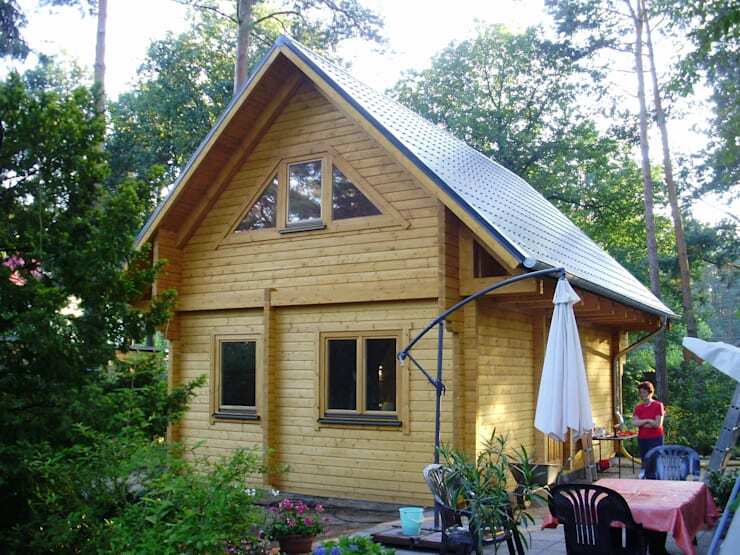 Would you want to escape to this wooden home?